Leslie is a master hairstylist and the Owner at Studio 415 Salon. She attended Douglas J Aveda Institute and has been in the industry for 10 years; she has also earned a degree in business. Her passion for the industry drives her love for hair styling. She is highly trained in cutting and coloring, and loves being a part of the transformations that take place with her guests – inside and out! Creative professionals to keep you looking your best. A native of Southeast Michigan, Kimberly relocated to Traverse City after graduating from the Transitions School of Cosmetology in Flint. Her training in L’Oreal Professional Hair Color and Styling Products ensures every client leaves the salon loving their hair. With Certification in Global Keratin Treatments, Kim creates manageable, frizz-free styles. Her extensive experience with many color lines makes color correction and formula translation simplified for clients. For natural looking highlighted hair, Kim offers balayage and ombre styles. Kimberly is a great listener and loves turning her clients' ideas into something they can smile back at in the mirror. 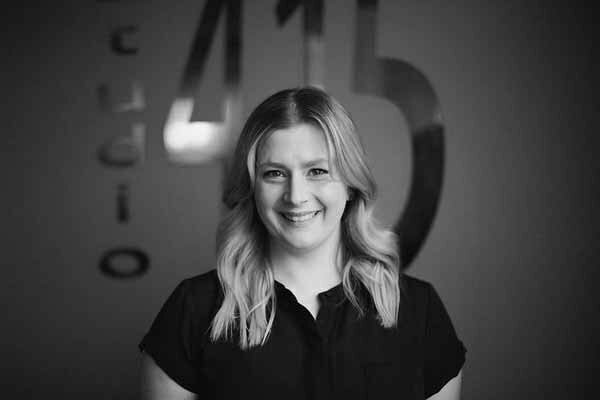 Liz has been at Studio 415 since the salon opened. She attended TBA School of Cosmetology in Traverse City and has been in the industry since 2009. She has been trained and certified in L’oreal Professional Color, INOA color and Global Keratin straightening. Liz loves to help her client’s achieve their desired look by teaching them how to use the proper styling products from Pureology and L’oreal Professional. She takes pride in continuing her education and enjoys being able to offer her clients both nail and hair services. Amanda developed a passion for doing hair at a very young age. Growing up in the hair industry it was clear to her that she wanted to share her passion and extensive knowledge. To broaden her knowledge of hair color and to perfect her techniques of balayage she became L'Oreal and INOA certified. She enjoys all types of color techniques. New and challenging color and cutting techniques keep her motivated as she stays up to date on the latest trends. Amanda is a masterstylist, respected for her talent and sweet personality. Missy is a Leelanau local and graduated from Traverse City Beauty College in 2012. She loves keeping up on hair coloring techniques and has been perfecting the art of Balayage. She is trained in L'oreal and INOA color, also Global Keratin hair straightening systems. Along with being creative with cuts, she also loves creating formal styles for any event! Sara is a master stylist, she is highly trained and has been in the industry for 10 years. 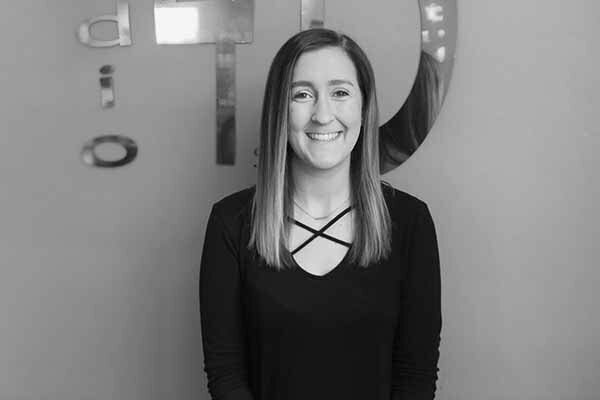 Sara prides herself in continuing her education and keeping up with the latest trends such as ombre, sombre, balayage, and precision hair cutting. She is also INOA certified and LOX Extension Certified. Feeling stuck in a rut? Sara has a knack for creating new looks! Coleen attended Bayshire Beauty Academy in Bay City, Michigan and has been in the industry half her life. In 2013, she and her daughter relocated to Traverse City from Saginaw, MI. Coleen has training in Balayage, Loreal Professionnel and Matrix color. She specializes and enjoys the freedom of women’s short cuts, men’s cuts and formal hair styling. Lysette’s passion for hair started at a young age with styling her horse’s hair and then moving on to her friends. She finished her schooling in 2007 and has continued to perfect her skills by staying up to date on the latest trends for men and women. She is L’Oreal Professional and INOA color certified. She enjoys everything from short edgy looks to long luscious locks! Brooke graduated from Douglas J Aveda Institute in Ann Arbor. She specializes in skin care, formal makeup, and hair cutting/styling. Brooke is attentive to your requests while providing professional guidance in order to exceed your beauty expectations. Zee has been in the hair industry since 2009; a graduated of Regency Beauty Institute of Flint. Recently moved to Traverse City, she’s excited to express her knowledge and skills in precision hair cutting, special event styling and custom colors. With the hair industry always evolving, she enjoys making the most of continuing education classes to make sure she’s up-to-date with trends and her thorough consultations will enable clients to feel involved and valued during their salon experience. Zee also performs all manicure and pedicure services. 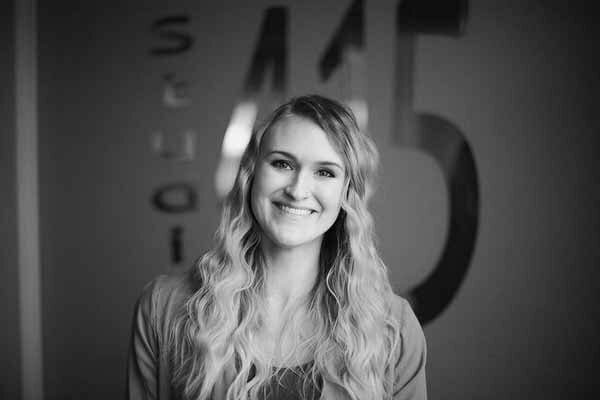 Allison is a Traverse City local and graduate of Douglas J Aveda Institute of Grand Rapids. She demonstrated passion and talent for hair styling at a very young age, and is now honing her craft in the salon environment. She specializes in blonding, intricate braids, precision men's cuts, and formal event styling. Allison takes pride in her clients overall experience, including a thorough consultation and an overall relaxing experience. Jen has been a licensed esthetician and nail technician for 8 years. She has added many continuing education certifications to her repertoire, and has an eagerness to continue learning. Jen loves to pamper her guests, and her sweet and attentive personality are sure to make everyone feel welcome! Wendy is a graduate of TBA Cosmetology School and has lived in the Traverse City area for over 20 years. A true passion is nail care and a background in the medical profession lends her an awareness of the importance of healthy feet, hands and nails. Her love for pampering is sure to make your experience a memorable one! Elizabeth graduated from Cosmetology School in San Francisco, CA and went to work for a high end salon in Union Square as an assistant, where she participated in an advanced education program, being mentored by top industry stylists. She was fortunate enough to attend several Vidal Sassoon cut and color classes while living there, and after 7 years of living in California she decided to move to Chicago, IL to be closer to family. While there, she worked as a stylist in another education-driven salon, and attended color and styling classes at the Aveda Institute in Chicago. She also travels to New York a couple times a year to attend Bumble and Bumble University, for classes in cutting, razor cutting, styling, product knowledge, and inspiration. 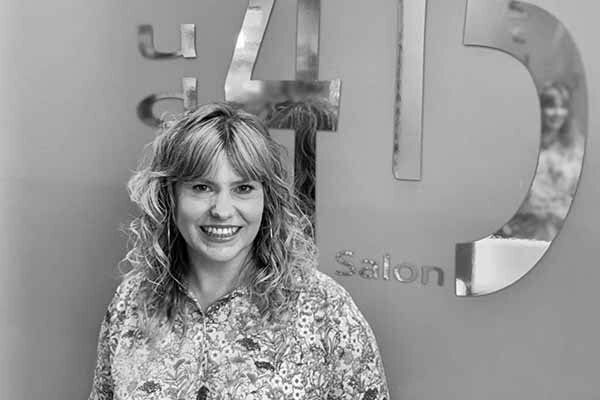 Laura has been in the salon industry since 2004. 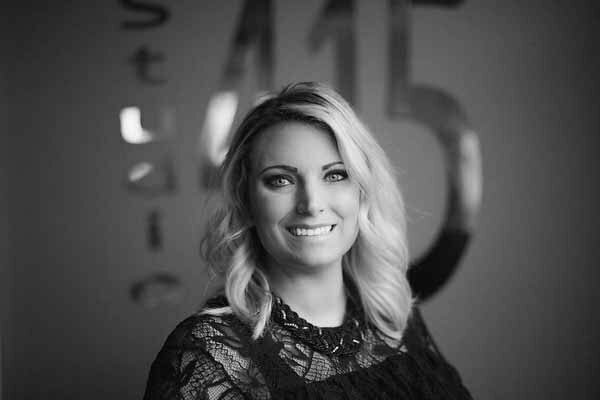 She has worked as a hairstylist at several salons in the area, and spent 5 years as a Cosmetology Instructor, before joining the Studio 415 family in 2017. 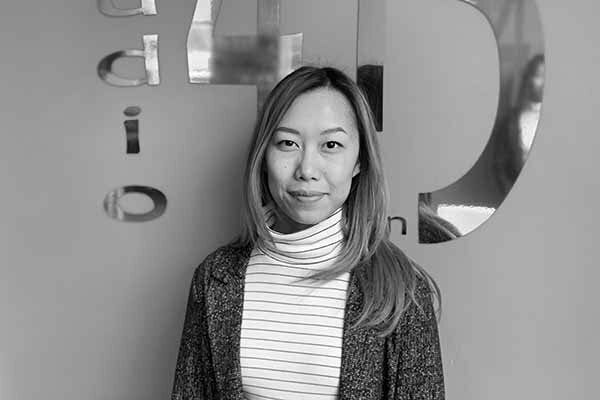 She is dedicated to creating a supportive and enjoyable work environment for the staff, while ensuring that our clients always have a pleasurable and highly satisfying experience in the salon. Mary is treasure to work with. She is attending to all your front desk needs and is your contact point to get messages between you and your stylist while they serve clients. Hello, I'm your professional greeter at Studio 415 Salon. I help keep a sense of calm in the studio throughout the day. I'm very lovable and have few needs. I hope to make your experience at the salon and enjoyable one.